Fits in 7.8 -8.0 gallon plastic buckets. 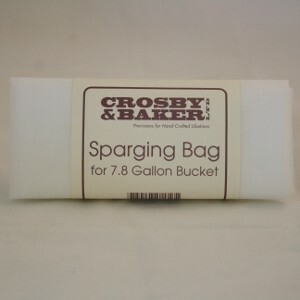 Simply place the bag into your bucket as you would a trash can liner. Pour the mash into the sparging bag, then sparge into your brew kettle.